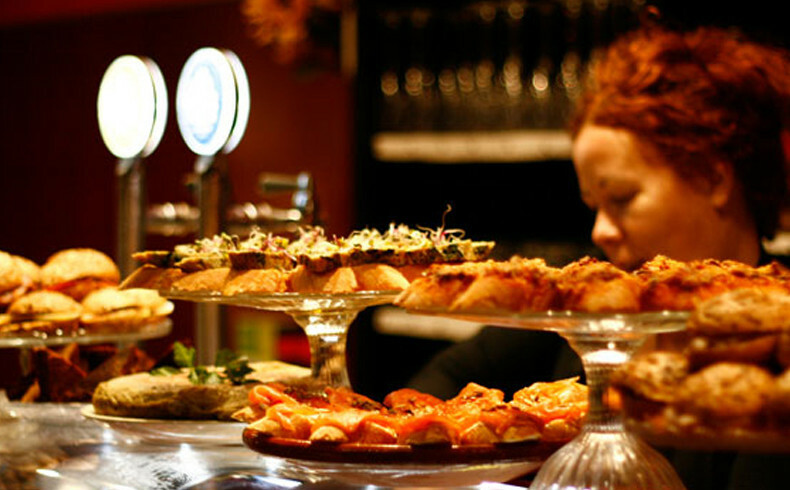 Offering a wide choice of tapas, Basque pintxos, tortillas, pies and soups, plus a seasonal menu that changes every week. This season, Monica and Carlitos, the brains behind the popular bar-restaurant La Soleá, in the Plaça del Sortidor in the Poble-sec neighbourhood, have opened a bar in the entrance hall of the Mercat de les Flors. In addition to a wide selection of tapas, Basque pintxos, tortillas, pies and soups served on all days when there is a show, you can now also have supper afterwards from a seasonal menu that changes every week. Visit their website at www.lasoleadelmercat.com. Service from 21:00 to 24:00 h, all evenings when there is show. Book at the counter in the La Soleá before the start of the show, or by calling 692 154 413 or sending an email to monilasolea@gmail.com.